Penn Engineering students are eager for opportunities to distinguish themselves — to collaborate on large-scale engineering projects, advocate for underrepresented populations on campus and beyond, and strengthen the bonds of lifelong friendship and identity. The Power of Penn Engineering: Inventing the Future will expand and enhance student-related programming and make an indelible difference in the lives of students. The School must attract and support the best and brightest and provide them with the resources to do their finest work. Popular programs and initiatives such as Advancing Women in Engineering, Penn Electric Racing, and others produce award-winning results and publication-worthy discoveries. Join us in expanding extracurricular programs that inspire innovative thinking, enrich the School, and prepare Penn Engineering students to be the industry leaders of tomorrow. Advancing Women in Engineering, created in 2007 under the direction of Dr. Susan B. Davidson, Weiss Professor of Computer and Information Science, is designed to inspire, support, retain, and recruit women at Penn Engineering. Your contribution will boost support for personal and professional development programs, including networking events, roundtable discussions, panels, guest speakers, and mentoring. The Engineering Summer Academy at Penn (ESAP) is a 3-week, for-credit summer residential program designed to offer high school students the opportunity to explore engineering. Penn Engineering is committed to providing all exceptional candidates, regardless of family income, an equal opportunity to participate. You can help. Support the Office of Diversity and Inclusion and underrepresented communities at Penn Engineering. Dr. Laura Stubbs, Director of Diversity and Inclusion, was inspired by Cora Ingrum to continue the important work of supporting diversity in STEM education — helping to establish the Cora Ingrum Fund in 2003. Dr. Stubbs has chosen build on the remarkable foundation of her predecessor and mentor and ensure Penn’s multicultural programs remain strong long into the future. 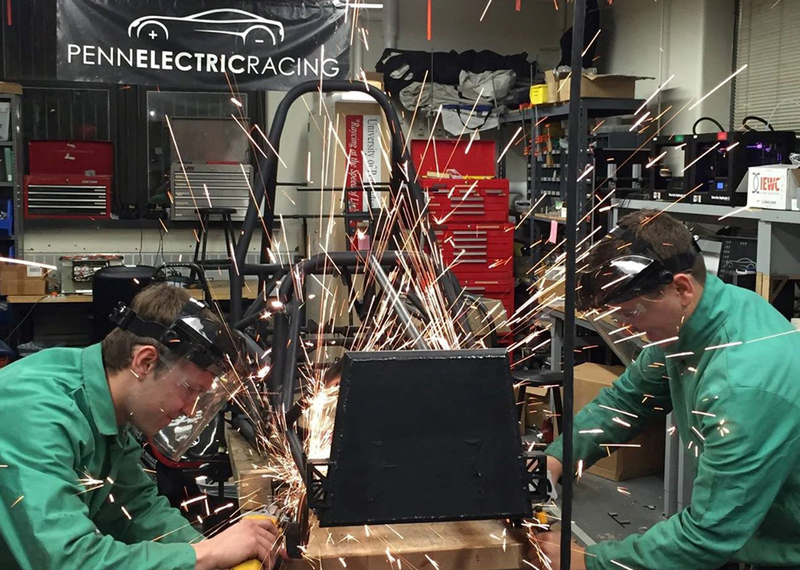 The Penn Electric Racing (PER) team builds the fastest student-built electric racecars in the Western Hemisphere. Help this phenomenally successful student-run organization seek another first-place title! Your gift prepares students to solve difficult engineering challenges and offsets the costs of building materials and travel expenses. Your support also represents a commitment to sustainability and the future.